The heart of Apache Hadoop is Hadoop MapReduce. It’s a programming model used for processing large datasets in parallel across hundreds or thousands of Hadoop clusters on commodity hardware. The framework does all the works; you just need to put the business logic into the MapReduce. All the work is divided into the small works and assigned to the slave by a master who is submitted by the user. Hadoop MapReduce is designed by using a different approach. It is written by using functional programming constructs, specific idioms for processing different kinds of lists. Different kinds of lists as input is presented to MapReduce for processing and it coverts those lists into output which is also in the form lists. Hadoop MapReduce parallel processing has made Hadoop more efficient and powerful. Jobs are divided into small parts by MapReduce and each of them resides in parallel on the cluster. All the problems are divided into a larger number of small chunks and each of the chunks are processed individually for the output. For the final output, these are further processed. Hadoop MapReduce can be scaled hundreds to thousands of computers across the clusters. Different computers in the clusters used to process the jobs which could not be processed by a large one. Map-Reduce is the component of Hadoop and used for processing the data. These two transform the lists of input data elements by providing those key-pair values and then back into the lists of output data elements by combining the key pair values. A small phase of Shuffle and Sort also come during the Map and Reduce phase in MapReduce. Mapper and Reducer execution across a data set is known as MapReduce Job. Mapper and Reducer is an execution of two processing layer. Input data, the MapReduce program, and configuration information are what a MapReduce Job contains. So if the client wants a MapReduce Job to execute, he needs to provide input data, write a MapReduce program, and provide some configuration information. Execution of a chunk of data in Mapper or Reducer phase is known as the Task or Task-In-Progress. The attempt of any instance to execute a task on a node is known as Task Attempt. There’s possibility task cannot be executed due to machine failure. Then the task is rescheduled other node. Rescheduling of the task can only be done for 4 times. If any job fails more than the 4 times then it is considered to be a failed job. Preparing for MapReduce interview? Here are the top MapReduce interview questions that will help you crack the interview! User-written function at mapper is used for processing of input data in mapper. All the business logic are put into the mapper level because it is a place where all the heavy processing is done. A number of mappers are always greater than the reducers. The output which is produced by the mapper is intermediate data and it is input for the reducer. User-written function at reducer is used to process the intermediate data and after this final output is generated. The output generated in reducer phase is stored in HDFS and replication is done as per usual. Mapper is the first phase where datasets are splits into chunks. Mapper works on a one chunk at a time. The output from the mapper phase is written to the local disk machine where it is running. An output created by the mapper phase is known as Intermediate output. Intermediate output by mapper phase is written to the local disk always. When the mapper phase is done, the intermediate output is transferred to reducer node. Hence, the transferring of intermediate data from the mapper to reducer is known as Shuffle. If the shuffle phase will not happen then the reducer will not have any input to work on. The entire keys which are generated during mapper are sorted by MapReduce. It starts even before reducers and all the intermediate key-value pairs are generated by the mapper, are sorted by key and not by the value. Sorting helps reducers to start a new reduce task at the right time. Reduce task is started by the reducers when the key is sorted and input data is different from the previous. Key-value pairs are taken as input in very reduce task and key-value pairs as output are generated. If reducers are specified as zero then no shuffling and sorting are performed and which makes the mapper phase faster. Hadoop MapReduce enables a high degree of parallelism, scalability, and fault tolerance. It is a versatile tool for data processing and it will help enterprises to gain importance. 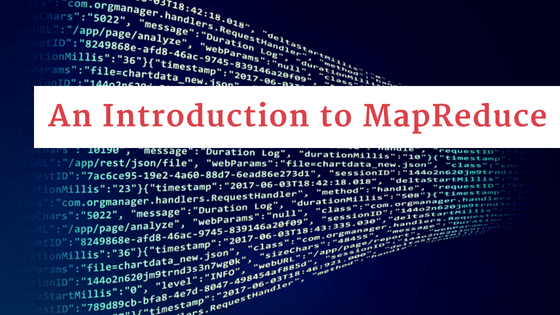 If you want to become a Hadoop administrator, it is mandatory to be familiar with the role and functionality of MapReduce. Best Big Data Online Course/s helps you understand the architecture and functionality of Hadoop MapReduce. Learn now and become a Hadoop expert!